Today we look at a technical pattern called a "reversal" in Alphabet Google (NASDAQ:GOOGL), which is a fancy way of describing a time when a bearish trend reverses into a bullish trend. Build a portfolio of option set-ups, diversified not just by ticker, but by strategy. It's in this process that we expose the times were short bursts of risk exposure have been profitable in the past. A portfolio of the same strategy in several stocks isn't really diversified, it's just the same risk taken over and over again. * The Bearish Trigger in Twitter (TWTR). * The Bearish Trigger in Micron (MU). * The Bullish Trigger in Advanced Micro Devices (AMD). * The Bearish Trigger in Alibaba (BABA). * The Bearish Trigger in Nvidia (NVDA). * The Bullish Trigger in Nvidia (NVDA). * The Bearish Trigger in Netflix (NFLX). * The Bullish Trigger in Amazon. * The stock has had recent weak momentum, that's why it is below its 10 DMA. * At the same time, the stock is not in a technical breakdown -- that's where the stock being above the 50 DMA comes in. * And, the stock has renewed (or reversed) its negative momentum -- that's where crossing over the 21 DMA comes in. At the end of each day, the back-tester checks to see if the long call is up or down 40%. If it is, it closes the position. ➡ The average percent return per trade was 39.7%. 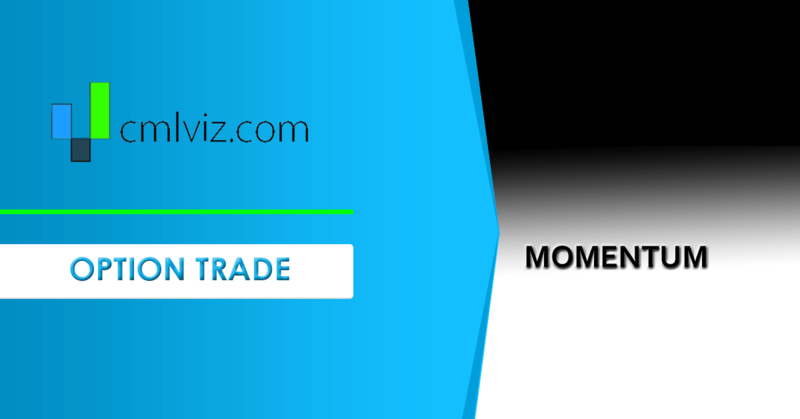 You can check moving averages for GOOGL on the Pivot Points tab on www.CMLviz.com. Now we can look at two bear markets. First, We check the six-months from 2018-07-01 through 2018-12-31. Here we get a comforting result: "The strategy did not result in any trades being placed. This is most likely because the trigger you were back testing did not take place during this backtest". Perfect -- the reversal trigger did not fire when the stock was collapsing. If this is truly a phenomenon we would like to investigate, it would be nice to see it work in similar stocks. It does, in fact. Trade Machine members, pull this back-test up (click the link right here), and see how AMZN, FB, and ROKU did.